Prior to the advent of modern ERP systems, small to medium manufacturing operations were conglomerations of disparate machines, software platforms and processes. While computer technology existed, it was often sourced by different management segments for their own use within their sphere of influence. As a result, data was not integrated, and elements of the systems could not “talk” to one another. Any exchange of data between manufacturing and finance or purchasing and warehousing had to be interpreted, parsed and defined into the receiving department’s process language. While technology had improved efficiency compared to previous decades, it still left a lot to be desired. The most effective way to drive continuous improvements using data and technology came through the arrival of ERP systems. ERP, or Enterprise Resource Planning, was developed to coordinate the flow of data and integrate it seamlessly between departments in all functional areas. It helped to un-silo data and developed a common database for use between all subsystems which benefitted decision making in all areas. As ERP systems have matured, they are now an integral part of manufacturing that has seen additional leaps in efficiency of production as well as the operation of the entire business. They serve as master data and analytical systems for the entire enterprise. But just as ERP was once a new technology, so too has the arrival of Industry 4.0 triggered radical change within manufacturing. Industry 4.0 is also called the fourth industrial revolution. In this movement, IoT devices, often sold and serviced alongside analytical software that uses AI and machine learning, are retrofitted into manufacturing equipment or are built into new equipment. And as companies move to capture and analyze more and more data, this move for toward a smart, or connected, factory is having an impact throughout manufacturing. Production – The use of IoT technology is allowing all equipment within a factory to be tied together under one dynamic base of data. Decision making for many operations can be automated and analysis can be performed at a rate faster than human intervention could duplicate. This includes machine operation, scheduling, staffing and work in process. Maintenance – IoT and Industry 4.0 allow for the creation of predictive maintenance programs. Predictive maintenance goes beyond the realm of preventive maintenance by not only detecting problems but scheduling corrections and repairs, managing inbound spare parts and recommending maintenance before failure can cause even longer production loss. Some corrections can even be made autonomously without having to rely on an operator or technician. Companies that have deployed IoT and use predictive maintenance have seen as high as 20% drop in maintenance cost and reductions in maintenance related downtime. Supply Chain – Whether managing raw materials shipments, ordering parts for maintenance autonomously, or managing inventory more accurately, IoT brings analytics to supply chain management. Companies that deploy can utilize a type of “digital JIT” by utilizing the same data being gathered from production equipment to more accurately trace, track and consume materials at a more efficient and cost-effective rate. The implications of Industry 4.0 for manufacturing are enormous. 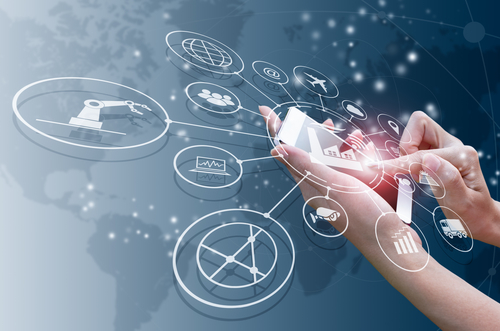 And it is estimated that by 2020 there will be over 30 billion connected devices in the world with almost 70% of those being utilized within business applications. ERP and IoT – Friend or Foe? On the surface, it would be easy to assume that Industry 4.0 will somehow supplant ERP systems as tradition has always favored displacement of old technology with new. But a closer look reveals there are synergies pointing to the potential for a powerful partnership between the two. 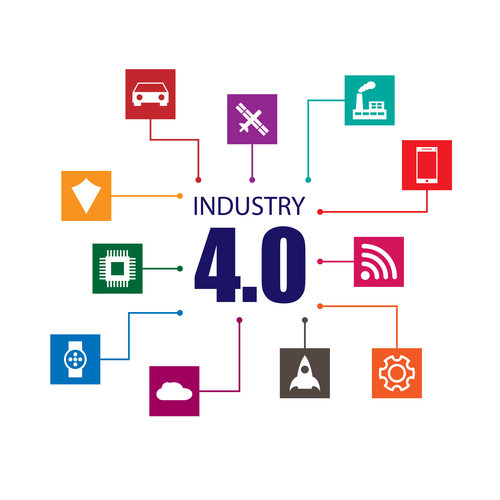 And in fact, Industry 4.0 may be more likely to increase proliferation of devices throughout manufacturing companies because of the inherent capabilities of most ERP systems and because many ERP systems are already beginning to build IoT connectivity within their framework. Data Utilization – One of the issues facing IoT adoption today is that data is often siloed in traditional manufacturing between functional areas. The use of disconnected platforms and different metrics between departments reduces the amount of data collected and its effectiveness. However, companies using an ERP system have already “un-siloed” their data and have integrated that data into a single database programmed across the enterprise for managing all aspects of the operation. This is a natural match for the capabilities of IoT and having the groundwork already laid through use of ERP reduces implementation time, learning and training curves and process adjustments. Data Interpretation – Because most ERP systems are modular and flexible, they can serve as the infrastructure upon which data from IoT devices can be used and the installed devices themselves can be programmed to fit that modularity. 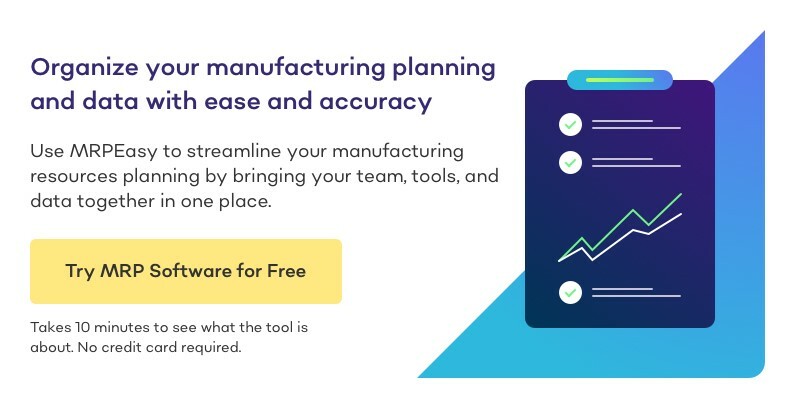 This is particularly true for cloud based a’ la carte ERP systems where functionality is customizable by the user for their particular manufacturing reality. In this way, an ERP leverages the power of Industry 4.0 capabilities. And most modern ERP systems can help facilitate the interpretation of this vast amount of data through their inherent ability to be customized. One key benefit is that his linking of the two systems allows for decentralized decision making. Just as humans can’t analyze data as quickly as AI and deep analytics, they cannot make the fast, “on-the-fly” decisions that will optimize the system and increase efficiency. Security – One major concern impacting adoption speed of Industry 4.0 and IoT technology is the security issues surrounding IoT itself. Many IoT service providers do not have native security systems and companies adopting them must also source the security component to ensure its connected devices are safe. But most manufacturing companies using ERP systems already have a security system in place to manage the flow of data within the respective areas within the ERP system itself. Having integrated finance operations, product design, HR and CRM function where confidentiality and security are critical, they have already secured much of their data in key functional areas. It may require upgrading or enhancement. But because enterprise has already adopted a singular database use and have mapped the workflows for how the connections between the departments will work, there will already be a familiarity in what is needed for added security and where the system would need to be improved. And as new ERP systems come online and old one’s upgrade, security can be built into the ERP system to facilitate IoT connectivity for those that don’t already or offered as a marketing tool for ERP providers that do. 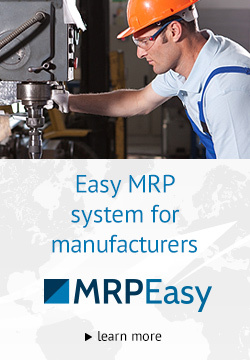 In the last few years there has been an increase in the number of ERP systems available to manufacturers. Many of these new solutions providers offer a range of services and applications such as cloud-based availability and data management, customizability, continuous updates and more. They are more agile in their deployment and are ideal for small to medium sized manufacturers who may not have the resources to pursue the more expensive larger providers. It must be able to integrate fully with connected devices and be completely interoperable between all connected equipment and the people operating them. It must be flexible and modular, offering multiple iterations for deployment. It must be data smart, allowing central data management in real time. It must be mobile to allow access to the data across tablets, phones and other devices. It must be fast in processing the data and maintain that speed when scaling. The increase in availability of more nimble ERP system s offers Industry 4.0 an opportunity to advance at a more rapid pace. And ERP systems provide higher productivity by consolidating business processes under one database. They also improve reporting and increase enterprise agility across all functional areas. And they allow sharper decision making with better insights into the data they provide while making their IT efforts simpler and easier to manager. Industry 4.0 is a natural fit with ERP because it either takes advantage of these elements within a company’s infrastructure to reduce deployment time, training, and data and metric reconciliation between departments to reduce upfront programming needed. Or, it enhances the cross functional capabilities already in place with an ERP to allow higher degrees of automation, autonomous decision making, intuitive and focused machine learning to ramp up the core ERPs capabilities to allow them to function more efficiently. If Industry 4.0 is to be the next data “superhighway”, then ERP systems are the trailblazers that have cut the path through the forest and organized the infrastructure components upon which that highway will be built.